Around the world 17 million metric tonnes of garbage are either landfilled or incinerated every week, enough to fill around 2.4 million garbage trucks. What if we could reduce this by up to 90%? That's where Enerkem's disruptive strategy comes into play. Over the course of February 2017, Enerkem was featured in the “Industry Innovators” segment of American Airlines’ inflight entertainment system. 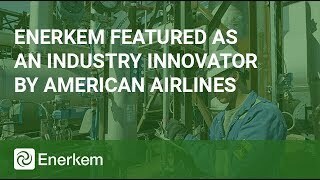 Produced by TALK BUSINESS 360 TV for American Airlines, Enerkem’s disruptive technology was introduced to a potential audience of 2.3 million American Airlines travelers. 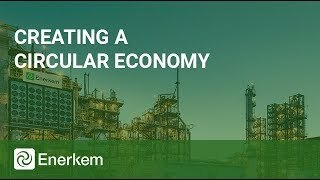 Discover how Enerkem is building the circular economy with its disruptive technology using waste as a resource to produce biofuels and chemicals. A sustainable and economical solution for communities and industries around the world. 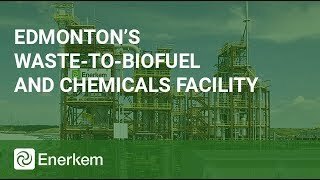 Learn how Edmonton sorts out municipal waste for composting and recycling and sends the rest to be turned into biofuels at the world's first municipal waste-to-biofuels and chemicals facility. Enerkem’s disruptive proprietary technology uses non-recyclable municipal solid waste (i.e. garbage) instead of petroleum to produce the lowest-cost liquid transportation fuels and chemicals relative to alternative production methods. 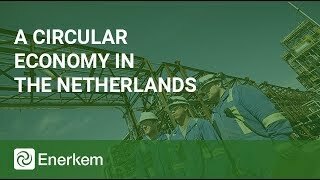 Find out why AkzoNobel, Enerkem and 12 Dutch partner organizations have teamed up to investigate the feasibility of using waste to produce chemicals. Employees at Enerkem Westbury (photo: Sylvie Trepanier). Enerkem Westbury: Enerkem’s innovation centre (photo: Sylvie Trepanier).